View cart “Green Dragon Original Artwork” has been added to your cart. 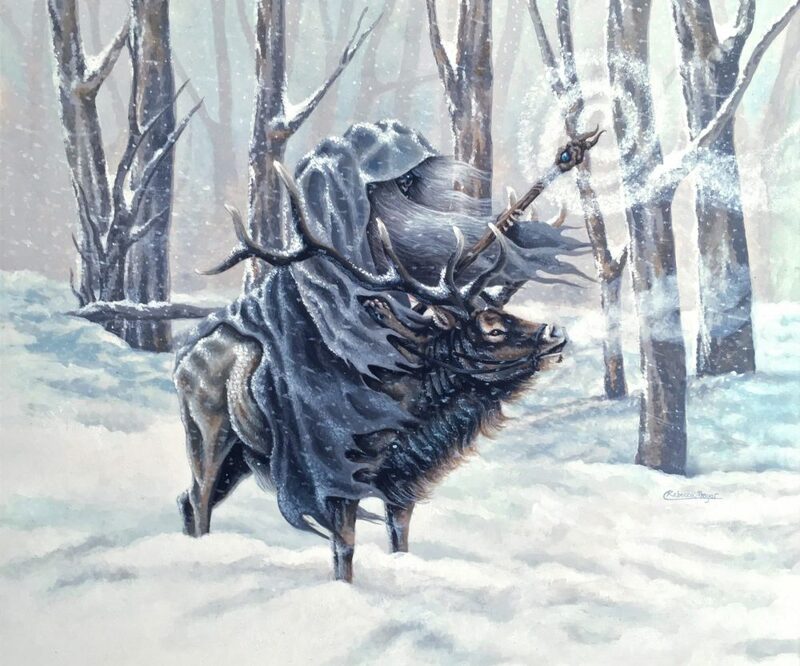 The blue wizard, summons huge blizzards with his twisted staff from the back of a large elk. 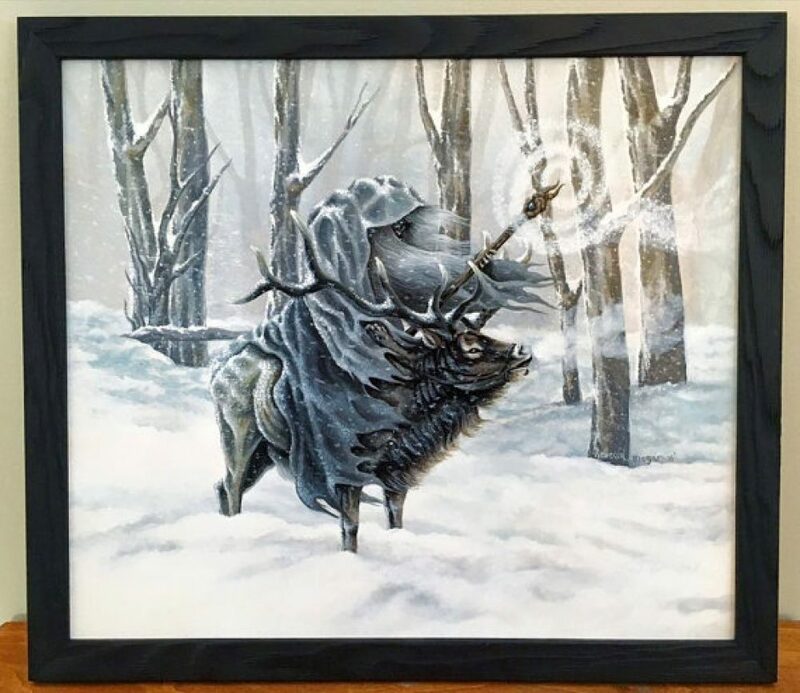 He could be called the winter wizard, responsible for manufacturing the coldest of seasons. This original illustration was used for the album cover of the single “A Blade of Time,” by Tengger Cavalry and was featured on MetalInjection.net. This is an original acrylic painting by Rebecca Magar. 17.5" x 15.5" x 0.75"